That creaking noise you hear comes from ruptures within the Worldwide Anglican Communion that this General Convention could deepen. On matters of biblical interpretation and polity, particularly as they relate to such issues as same-gender blessings and the proposed Anglican Covenant, it’s clear that provinces within the communion are heading down different paths. Perhaps that division is inevitable. But any break in the communion should be a matter of grave concern for U.S. Episcopalians. The Anglican Communion is not just a messy mix of churches claiming roots in Canterbury. It’s a richly diverse communion of faith united, not just by our English traditions, but by the prayer-book liturgies at the heart of our worship, as well as the blend of sacramental worship and accessibility that have helped define our “middle way.” From the Solomon Islands to Africa, Argentina and Nevada, we are a communion of Christians whose diversity offers wonderful opportunities for spiritual growth and for collaborative partnerships. Two other members of the Diocese of Virginia and I are about to see the richness of that communion firsthand. We are heading to the Diocese of Bukavu, amid the lakeside hills of eastern Congo near the border with Rwanda. We will talk and pray with Anglicans from the Democratic Republic of the Congo about initiatives that might make a difference in a part of the world that too many have written off as a lost cause. These are the kinds of opportunities offered by our Worldwide Anglican Communion. To many, “the Congo” suggests jungles, wars, poverty, violence, anarchy, death—none of it positive. It’s as if Joseph Conrad’s 1903 novel, “Heart of Darkness,” with its setting in the colonial-era Congo and its theme of the evil within us, has forever marked this land. Refugees from that part of the world have a mix of emotions about their homeland. Still others would see any trip to a poverty-wracked failed state that desperately needs friends and support as a kind of pilgrimage. 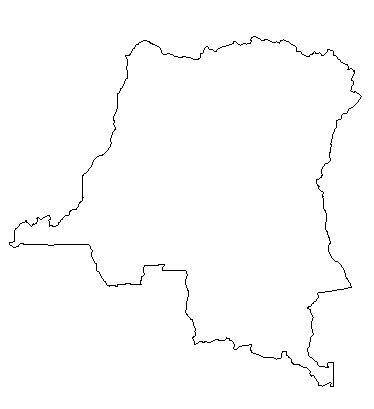 What’s clear is that, unless you have a personal connection to this immense swath of central Africa, your knowledge of the Congo is likely to be hazy at best. That’s the main reason I feel so fortunate to have an opportunity to go there, and why I’m so grateful that our Episcopal Church shares a bond with the Anglican Province of the Congo. The Congo already seems to me to be the biggest humanitarian crisis in the world about which the American public knows so little. Clearly, there are stories to be told and shared. The opening round included the horrible genocide in Rwanda, with its spillover of refugees into the neighboring eastern Congo. The restiveness continues today, with armed militias roaming the country and the basic infrastructure barely sustained. Corruption, sickness and violence are widespread. Out of this humanitarian morass come church-backed proposals to offer relief to those who have borne so much, particularly the children. Hope survives. There’s much to be done. And the toughest challenge, as Stearns observes, is to offer the kind of help that doesn’t impose the West’s vision on the country but that helps provide an environment for growth and stability among the Congolese themselves. I give thanks for the bonds of the Anglican Communion that sustain this hoped-for collaboration between the Dioceses of Virginia and Bukavu. I will tell many stories from this trip. I hope they will be the kind of stories that offer a more nuanced view than our simplified shorthand for “the Congo.” And I hope that they address in some small way what Stearns calls the West’s biggest sin of omission when it comes to the Congo: We simply don’t care enough. Ed: When is this trip? Ed actually left yesterday! Please keep the Virginia team in your prayers during their travels. I appreciate your efforts to raise awareness about the DRC, but I have one criticism of your article. In your second paragraph, you list four places as examples of the diversity of the Anglican Communion, “From the Solomon Islands to Africa, Argentina and Nevada…” My criticism is that these are not equal entities. You’ve listed two countries, one state, and the entire continent of Africa. The problem is that for too long people have made broad generalizations about Africa. Africa is not a country, but a continent made up of over 50 diverse countries. Its size can encompass all of Europe, all 50 of the United States, plus China. Had you picked one country of Africa rather than the whole continent, your point would have been made without minimalizing the complexity of Africa’s peoples and history. Good point Rebecca. I think one of our recent politicians was taken to task for making the same mistake. Actually I’m wondering if Ed intended to include Africa as a continent. He includes a country (Argentina), a political division within a country (Nevada), and a protectorate fairly recently independent (Solomon Islands). Not only would that selection denote a geographical distribution, but also a geo-political distribution.